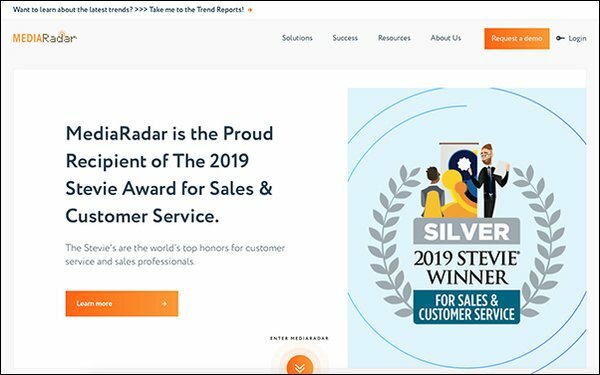 Advertising intelligence and sales enablement platform MediaRadar predicts 1350 RFPs will be issued in Q2 of this year. To alert publishers of coming RFPs and help ad sales teams plan ahead, MediaRadar has introduced a new AI-powered tool called “RFP Predictor” to its suite of solutions. The new tool delivers high-level and in-depth insights about upcoming RFPs, based on millions of data points, including a brand’s corporate structure, historical behavioral trends, integrated spending analysis and hiring trends. According to the company, AI is well-suited for this new tool, given its need to spot trends and draw conclusions faster, more accurately and at a larger scale. After the tool accesses historical data from over 3.1 million brands, the data is paired with historical RFP knowledge that AI technology uses to uncover trends to predict upcoming RFPs. The technology also provides information about how brands and advertisers have shifted spending over time. Email alerts advise users on which prospects have issued RFPs or may soon do so. The company says the tool provides teams with additional time to prepare, helps them work around tight deadlines, and, through a Comscore integration, sales reps can show potential advertisers how they can reach their target audience in each RFP. With the new tool, MediaRadar predicts the top three industries issuing RFPs this year will be retail, apparel and travel advertisers, with many appearing in Q2. The company also predicts April will be the most active month for RFPs in 2019.